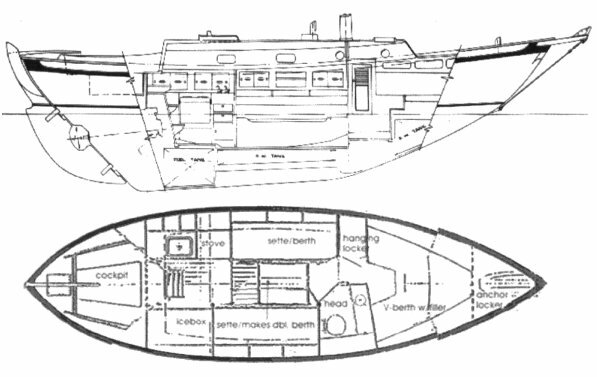 ARIES 32 is said to be the original name of a Thomas Gilmer design, first built of wood and then fiberglass. Subsequent versions called ROUGHWATER 32/33, WEATHERLY 32, were built in TAIWAN. SOUTHERN CROSS 31, also by Gilmer, appears to be similar.